"Suzy Brown" adds the color of khaki brown to the pattern of Suzy Gray, giving it a warmer and more luxurious look than the brown colored eye contacts on the market. Colored eye contacts "Suzy Brown" provides a moisturizing, comfortable fit for daily use.. In addition, it protects the field with clear vision correction even in a dark environment, and blocks UV rays that enter the cornea and eyeball, helping to show good colored eye contacts as well as use healthy colored eye contact lenses. This new product was developed based on big data through consumer FGI. Over the past six months, a total of seven consumer FGI surveys women in their 20s on pattern, color, diameter design, and satisfaction before and after wear, which are considered most important when choosing daily colored eye contact lenses. As a result, it has implemented optimal daily brown color lenses. 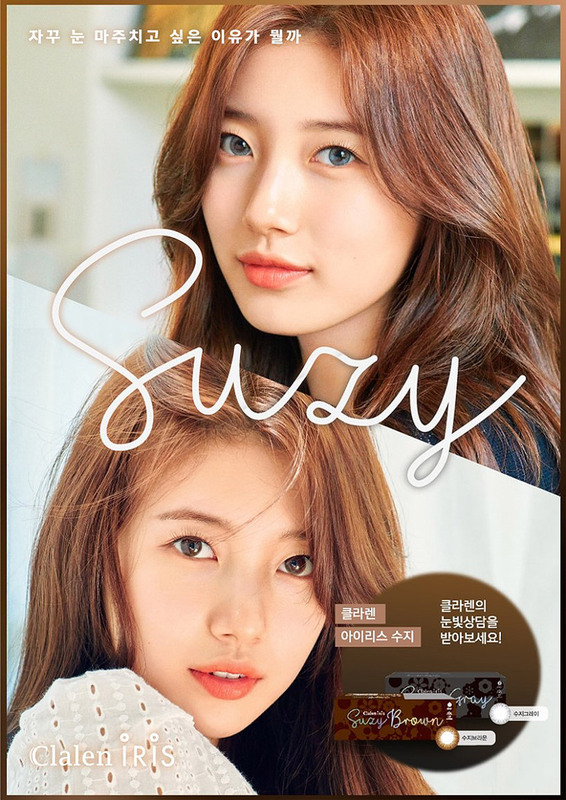 Suzy Brown is the product of the warmth, natural beauty and the luxury of the khaki color, while retaining the lovely and enchanting look of existing Suzy colored eye contacts.